(Washington, D.C., December 3, 2018). Today, Larry Klayman, the founder of both Judicial Watch and Freedom Watch, and a former prosecutor for the U.S. Department of Justice, acting in his private legal capacity, announced the filing of criminal and ethics complaints against Special Counsel Robert Mueller and his prosecutorial and media staff on behalf of his client, Dr. Jerome Corsi. A copy of the complaint can be found at www.corsination.com and www.larryklayman.com. The allegations show a pattern and practice of coercing and extorting Dr. Corsi to either lie in his testimony before the "Mueller Grand Jury" and at any eventual trials of other subjects and targets of the Special Counsel's so-called "Russian Collusion Investigation," or be indicted himself. The Special Counsel and his conflicted prosecutorial staff, having offered what they termed a "sweetheart" plea deal if Dr. Corsi would falsely "rat out" targets such as Roger Stone and President Donald J. Trump, were flat out rejected by Dr. Corsi for their criminal, illegal and unethical plea deal. 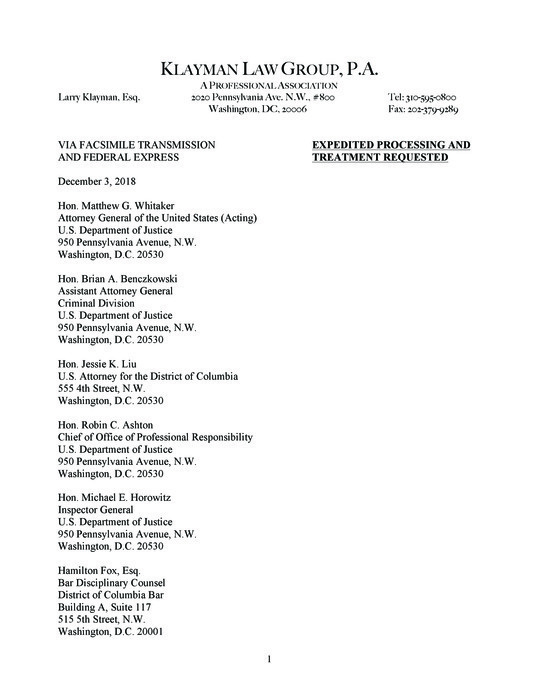 "In filing this Complaint, my client is not only standing up for his own legal and constitutional rights, but also those of the American people. This rogue government tyranny perpetrated by a Special Counsel and his prosecutorial staff, which is designed to effectively overthrow a duly elected president by coercing and extorting false testimony from Dr. Corsi and others, cannot be permitted in a civilized society. "Dr. Corsi is an American hero, not a felon as depicted falsely by Special Counsel Mueller and his prosecutorial staff. To the contrary, it is Mueller and his comrades who must now be held to account under the rule of law and professional ethics." 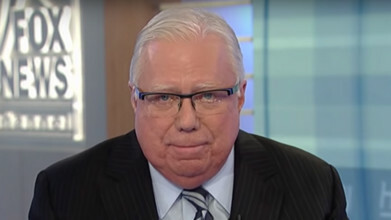 Dr. Jerome Corsi Seeks End of Mueller "Witch Hunt" With Criminal Complaint!